If you’ve been around the block for a substantial period, you might be familiar with the extent of how the recession can affect the value of certain assets. Luxury vacation homes are indeed one those vulnerable properties. The thing about having a luxury home is not just about purchasing one. It’s about maintaining another property aside from your home. Now, imagine yourself in a situation where you need to attend to 20-25 different suppliers. They help you keep your primary residence. Air conditioning, check! Heating and landscaping, check! The pool and the plumbing, check! The long list of maintenance services you have to acquire goes on and on. Think about having to contact service providers for the same or more jobs for your second home. If you have the money, then there’s certainly no issue about that. You can hire staff to maintain an investment property. If you’re one of those who are looking at luxury vacation home as places for family gatherings, then you greatly need to buckle up for all the carrying costs of the home. Whether you’re trying to live up to that luxurious lifestyle or merely wanting to renting the house to cover the costs, the maintenance fees could significantly affect your financial goals. Remember that if you’re not going to use it enough, then it might be just a burden to carry on. Determining the right financing option for your home purchase is just as vital as making sure that your new property will be an excellent long-term investment. Vacation goals make people want to buy luxury vacation home. Having a second home is thought to help make the party going. Sure. Having a place of your own is an advantage, but it won’t be long once you count the overall cost. The thing about luxurious amenities is that the benefits are colorfully highlighted. You can sit and relax by the pool with your piña colada. Leaving the Rolls Royce in a fancy driveway is a dream. That’s undoubtedly heaven, but once the gate gets broken or the pool gets too dirty, everything can change. Realizing that enthusiasm for a new place can lead to hasty purchase is a step closer to making proper financial decisions. Find out first if there’s a dock that could welcome your yacht. Imagination can take you to wonderland and sometimes, there’s no going back from the wonders of how you arrived at a decision. You won’t just waltz in your luxury vacation home every day. It’s not your primary residence for reasons. The least you can be there is during holidays or gatherings you willingly planned. But what happens when the fun time is over, and you have to head back to your life in your main residence? At some point, you might need to go to your second home just to see if it’s still as fine as you first fell in love with it. Even if it’s just there on its own, the weather and other natural phenomenon are not friends with your property. Don’t turn a blind eye to this reality as you think about purchasing a luxury home in your dream neighborhood. If you hate spending money on maintenance, you can do them yourself. If you hate doing them yourself, choosing to have a home at a private residence club or condo might be a good idea. At least in those communities, every amenity is maintained for you. You can say yes to them if you’re okay with not having the lovely facilities of a home. If you’re paying in cold cash, this might not apply to you. If not, then this one is a wake-up call. The cost of financing this property can cause major drawbacks to your finances if not handled and planned well. 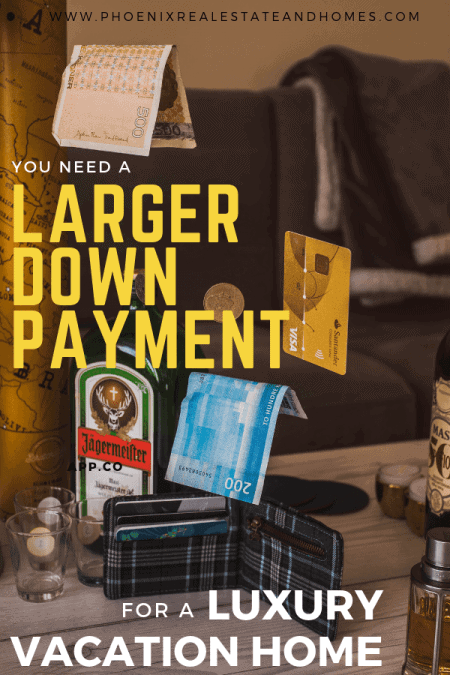 Depending on important aspects like the location, the market value of the property and the condition, a typical 15-20 year mortgage for a non-owner-occupied usually required about 20%-30% downpayment. The rate can also vary depending on your financial status and your credit history. Having an additional insurance coverage might be required depending on the location of your home. If you’re eyeing a house by the coast, having a coastal home insurance policy might also be necessary. It could include a separate windstorm or hurricane deductible. As portrayed earlier, you won’t always be there to oversee the home maintenance operations. Having a property manager can be a smart move. This person can save the day by meeting your guests before and after rentals. He/she can also do spot checks before releasing the deposits. Offering emergency support is also a noble task for your property manager. Just like your primary residence, your luxury vacation home will also demand financial help for everything to run smoothly. The pipes can freeze and burst any day during winter. There’s just no telling what can go wrong any day of the year. Not only that you need money for maintenance purposes, but you also need cash to keep up during the peak season. Aside from the monthly electric bill, water, heating bills, and cable, there are the lawn and pool maintenance needs. For you to compensate a little, never forget about those cleaning fees before your guests go. A little sum can go a long way for the next maintenance service provider you need. Here’s to that lovely blinds or that designer walls. Don’t forget to add the total costs for decorating and redecorating. Upholstery, carpet, drawers and even that granite counter can attract renters. Might as well invest on maintaining them. It’s not enough that you just think about staying in your second home. You have to be there to maximize the money you invested in the property. Some buyers just actually feel obliged to visit their luxury vacation of home. 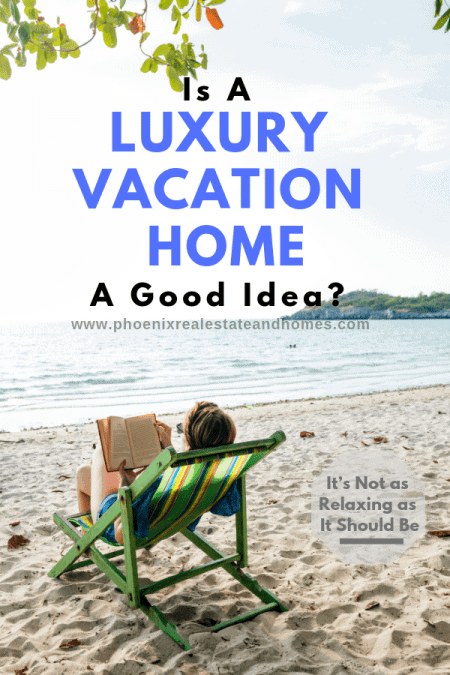 If this scenario is okay with you, then purchasing a luxury vacation home might be a good idea for you. Decide whether you want a coastal property or a fancy suburban one. The area is one of the prime factors in choosing a property. Your renters decide whether yours is a strategic location for their trip. Do you want a rental place that’s booming in the summers? Would spending winter days in your property a good idea? The location and the seasonal appeal of your vacation home are intermingling factors. Look up homes that radiate the proper vibe for your target market of renters. Do you want to attract families? Will your home be a perfect venue for a honeymoon? Think big and small groups of renters. If you’re willing to accommodate large groups of friends and families, then find luxury with more rooms and amenities. Nothing attracts renters than the space you’re ready to offer. Are pets allowed? Are celebrations allowed? Would there be cancellation fees? To avoid or mitigate unthinkable consequences of letting strangers stay in your rental property, lay down the dos and don’ts of renting it. Fluffing up the bed, sprucing up the kitchen or dressing the windows can come a long way. You can also hire professionals to make your space even more conducive for families and group of friends. Some renters want their area to radiate ‘homey’ feels while others wish for that resort-style vibe. Decide what you want for your property to look and feel like so you can attract the right customers. The power of social media is beyond limits. You can draw potential guests into your Instagram-worthy getaway by creating your home’s online profile. If you have the budget, you can try investing in professional photography. If you think you can do it on your own, that’s better. Put your taste in every frame. Don’t forget to write a short and accurate description of every posting you have. Providing Wifi, adding a hot tub or allowing pets inside can be the game changers. These top three perks can attract pet lovers, tech-savvy or people who want to maximize their bathing experience. The little details can sometimes be the deal breakers for some prospect renters. Aim to have rates depending on the low and high season. You can no longer set a fixed price for weeknights or weekends. This is where the importance of managing your calendars come into play. Avoiding minimum stays and avoiding minimum nightly rates can go a long way. A $300 nightly rate can come in handy during peak season, but it won’t for the rest of the year. If you’re marketing your vacation home on your own, make sure to choose the right listing site. When you receive reviews, love the good reviews and learn from the bad ones. You can increase your bookings and having repeat guests once you market your home the right way. Choosing the right vacation home is a tricky deal. The idea of buying one might have been in your mind for a long time. Keep in mind the scenarios you can encounter when buying and keeping a second home. Weigh things with a clear idea of the consideration so you can decide if luxury vacation homes are a good idea. 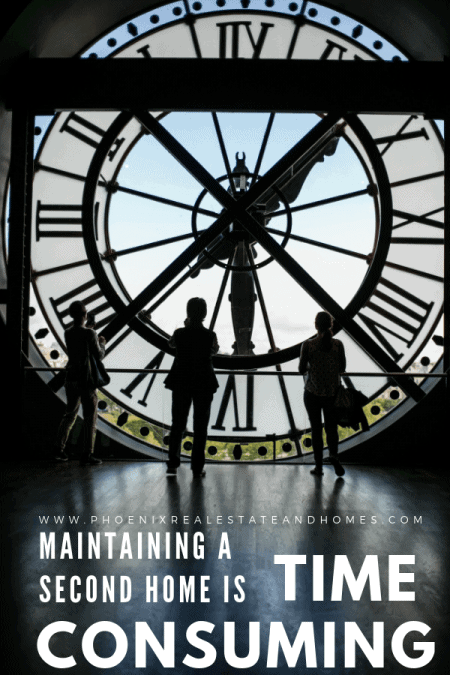 If you need help in finding the best properties in Phoenix, AZ, don’t hesitate to reach out. Searching for a property is better when done with someone who knows the market properly.